I am so excited to share today about one of the ministries in Ethiopia being supported by the Love With Abandon project, Embracing Hope. I actually met Jerry and Christy on my very first trip to Ethiopia in 2010. They had just moved to Africa. When we visited Embracing Hope last year, it was less than a year old. I am amazed at how a simple idea (of a young girl none the less, the Shannon's daughter!--lesson: listen to the inspired ideas of your kids!!) -- an idea of providing childcare for single moms-- has grown into a ministry impacting these women and their children in so many different ways!! And to know that it is currently run by Ethiopian staff, yet another beautiful picture of what missions could and should look like. Amazing! We now have Moms who have built deep community with each other, the kind that makes sure that others do not go without and who care when suffering comes. We have Moms who have started their own micro businesses. We have Moms who have come to know Jesus. We have Moms who have found better jobs than working in the dump. We have children who are starting school and are at the top of their class. We have children who would not have been alive had it not been for someone being there to care for them. We have moms learning to read and write for the first time in their lives. We have Moms who for the first time in their lives are not having their dignity robbed daily through begging and prostitution. We have Moms on HIV medication so that they will be around for their children long term. We have Moms who are still incredibly poor, yet they now have hope and are not alone. We even have a few moms who have become so successful that we are dreaming of ways to graduate them from the program! We have local and sub-city government cooperation – they keep giving us glowing reports. We have a large number of moms who have saved at least one month’s salary. We have healthy kids who are now able to learn and thrive. We have families that are intact – Moms with their own children. Orphans prevented. Families Preserved. All that these Moms needed was someone to walk alongside of them. They were looking for a way out, an opportunity, a bit of a break. Many of them were praying that somehow someone could intervene. And then God led them to us and us to them. Go visit their blog and read the rest of this article here. 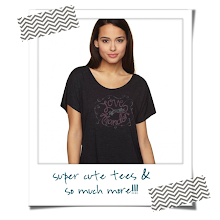 Or you can support Embracing Hope as well as the entire LWA Project by shopping the LWA shop here. 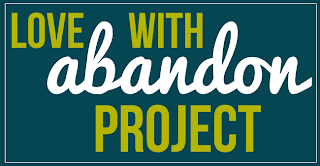 Over the course of the new few weeks, I will highlight each of the six ministries/families of the Love with Abandon Project. Up first is my dear friend, Christy. I am absolutely blessed by her courage to share with you today. Christy was one of the first people I told about the idea of the LWA Project. She had stopped by my house, and we chatted about life, kids, her adoption progress, and my idea to launch this fundraiser. She was so excited and encouraging, as her love for widows and orphans has always welled up and overflowed from her own life and adoption, to look for new channels to support and champion. That was Friday. The following Tuesday, her world was turned upside down. That was less than 2 months ago. Watching her these past few weeks, I have often found myself in awe--yes, of her faith, but even more so--of the One she is clinging so desperately to, the One who sustains her. Her Anchor, Who has proven to hold fast in the fiercest of storms. And I find myself drawn by her example to that Source of strength in my own life. Here are her words for you. I pray it blesses you as much as it blesses me. 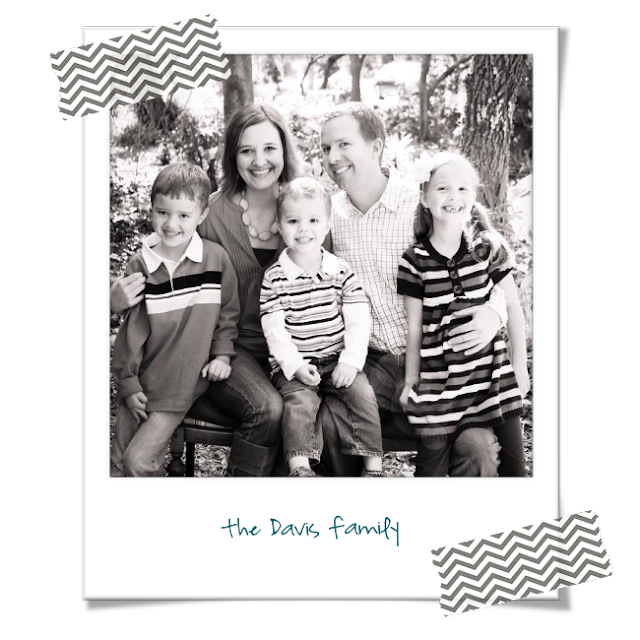 When God began to burden my heart to help care for widows and orphans back in 2010, I had no idea that a few years down the road, I would be looking right in the mirror at a widow, and in the very next room of my home, at fatherless children. Back then, I felt a dramatic urge to jump in to orphan care with both feet, wanting to let Him use me to bring hope to people worlds away from my own. His timing seemed slow to me, but I was convinced that it was right. After becoming involved in various orphan care ministries, my wonderful husband Bryan and I knew it was the right time to begin our own family journey to adopt a little girl from Ethiopia. All of our paperwork was completed and sent over there in July 2012. Oh, how my heart began to care for our future daughter as the months went by, even though we knew nothing about her, we would probably still have quite a wait ahead of us, and nothing is guaranteed with adoption. Our children began praying for their little sister almost every night. The Lord was blessing us with good health and bringing in all of the necessary funds needed to accept a referral when the time came. All of the pieces seemed to be fitting in place to open our home and our arms to a little girl in need of a family’s love. 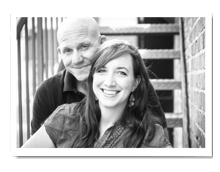 And then February 26 of this year hit, when my amazing husband unexpectedly went to be with Jesus, and life, as we knew it, seemed to crumble underneath us. Adoption, along with other things that are close to my heart, now began to seem like dead end dreams. And yet, I’ve had to choose to believe that they cannot be as they currently seem, for I know God never wastes our passion or our pain. So here I sit, humbled and feeling a bit helpless to be among the widows, accepting the help, when I wanted to be the one giving the help to other widows. I head to the mailbox each day and open card after card offering hope to my now fatherless children, reminding us that our Heavenly Father cares more about us than we will ever know this side of Heaven, and that we are never forgotten by Him. There is so much that hurts, and that I don’t understand about our current situation, and about my Savior. What I do know, though, is that He is caring for us, and He is using others around us to show His love as we begin this difficult trek down a rough road. The kids and I are being held in the palm of His hand as we walk through our days on this earth, and my sweet Bryan is now being physically embraced in His arms as he takes in the amazing wonder of Heaven. Eternity is real, and the hope of it gets me out of bed each morning. Our family, though small amidst a world of needs and pain, has a story that He will continue to write. I have no idea what the future holds and can tend to become fearful and overwhelmed when I look too far ahead. But I know my Savior has got me today, and I have to remind myself, sometimes moment by moment, just to rest in that reassuring and everlasting truth. If you would like to give directly to the Davis family for their needs in the midst of this great loss, you may donate directly via paypal to scrappycdavis@yahoo.com. 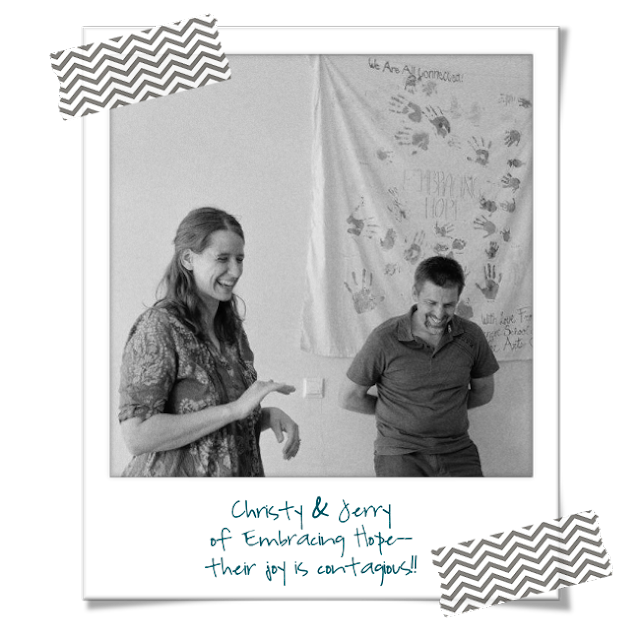 You can also follow Christy on her blog, and I'm looking forward to her sharing more there in the days and weeks to come. You can also support the Davis family as well as the entire LWA Project by shopping the LWA shop here. Read more about the LWA Project here. 48::48 continues! Read & join in the giveaway here!! 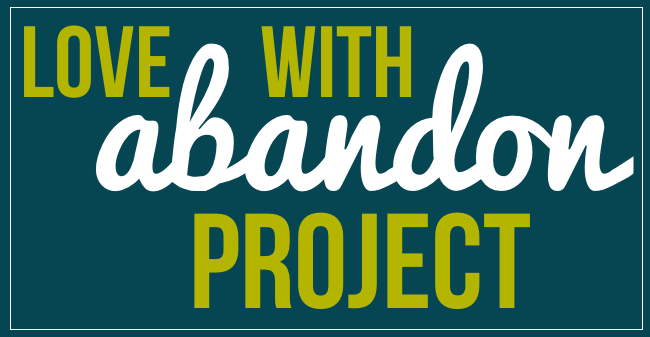 Well, it has been a little over a month since I started the Love with Abandon project. I had originally set a goal to raise $6,000 by the end of March, but I can see it is going to take more time that that! To date, I have raised $790. And that is OK! Often my timelines are not God's timelines, and I have found that His are always better. So I am no less committed to raising the $6000 I set out to raise! I'm just going to have to work harder and longer to get there! But what a privilege! I get to be a voice for some awesome ministries and families, and bear a small burden for their needs and requests. In the end, it's really not about the money. As I've said before: once it's divided by six, it's a drop in the bucket for the needs represented by these 6 ministries/families. But what it IS about is obedience. For me. It's about extending the impact of a mission trip beyond my personal experience to sowing a seed into the work long term. 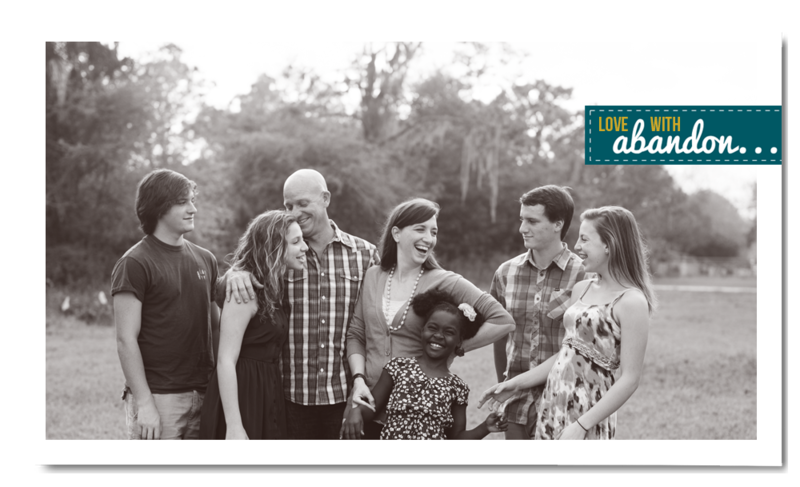 It's about supporting ministries that prevent the need for adoption as much as I support adoption. It's about looking for opportunities right in my neighborhood to serve widows and orphans, and not ignoring those needs right in front of me because they require an extra measure of daily sacrifice and availability from me. It's about narrowing down the wide circle of orphan care needs--- to not be overwhelmed by the great need to the point of inaction, but instead to DO SOMETHING. It's about seeing where God can use me RIGHT NOW, RIGHT HERE as I sit at my kitchen table typing-- surrounded by dirty dishes and piles of laundry and a full inbox and pressing responsibilities--watching what He might do with a willing heart and available hands and a widow's mite. You'll see me do a few different campaigns and set mini-goals to continue to use my store to bring in funds. You'll see me highlight each ministry and family over the next few weeks, and you'll hear from each of them specifically. You'll be encouraged to give directly to them in a tax deductible way (and then let me know so I can count it towards my total). And if I have to get creative and think outside of the box and try something new, I will! 48 in 48 Campaign & Giveaway! The first order of shirts came in and they are AWESOME! I've already had some more orders come in, but I need to hit a minimum quantity to reprint at the lowest cost. 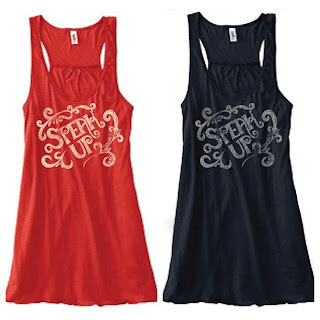 So I need to sell 48 shirts---24 Love with Abandon and 24 Speak up designs! 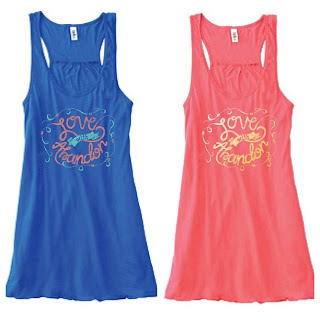 They can be any of the available styles (tanks, short sleeve, or long sleeve! 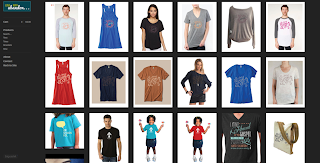 ), but I need 24 total of each design! The hope is to get these printed ASAP so those of you who want them for Mother's Day will have them in time. And I want to get these orders in the next 48 hours! So: 48 in 48! Buy your own shirt here! Share the link to this post or to the store on facebook, instagram, twitter, or your blog! Ask others to share too! Then comment below and let me know how you have shared! You get one entry in the giveaway for each way you share! I will draw TWO lucky winners-- and both will get their choice of a SPEAK UP tote or a Love With Abandon MudLove band! We're going to run this for 48 hours(ish), so entries must be received by Wednesday, April 10th, at midnight. I'll keep you posted on FB as to how many have sold, so you can count down with me! Thanks for your prayers and support!